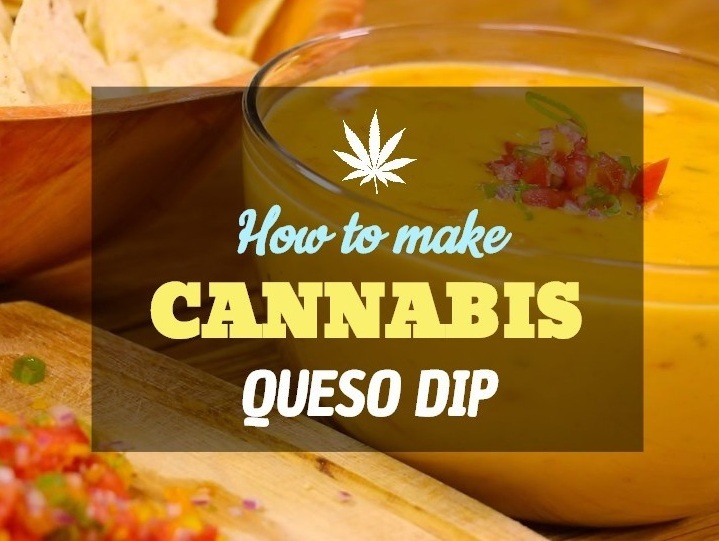 The following is a moderately complex method of making awesome cannabis Queso dip. All you need is a saucepan, some gas and the ingredients listed below. It makes use of both cannabis butter and cannabis milk, to add some extra THC into the creamy mix. With cheese, yogurt, milk and butter, this recipe is delicious but very fat intensive. Not for those with weak hearts! First, add the cannabis butter to the saucepan and melt over a low heat. Next add the jalapeno and garlic to the saucepan and cook on low heat for 60 to 90 seconds (or thereabouts). For the next two minutes add the tomatoes and stir. For the next minute add the flour and heat it until it has been fully absorbed. Now it is time to gradually add the marijuana milk. Keep adding and whisking until it has a slightly thick consistency. This should take no more than 5 minutes but judge it for yourself. Now add the cheese by the handful and stir until smooth. Stir in the chili powder and cumin, as well as the salt and pepper. Add in the Greek Yogurt and whisk. Your dip is now ready. Garnish it with cilantro, tomatoes and avocado if desired.